I teach women the Bible. 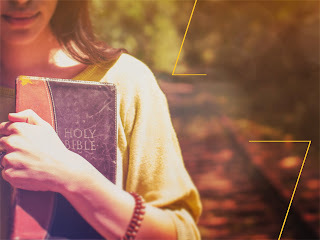 One of the things I hope to see transpire in my lifetime is the raising up of many qualified women teachers in the church who will work to restore Bible literacy. But it’s a hope that needs pastoral help to become a reality. I know this help is possible because I have been its recipient, the beneficiary of lavish pastoral input and encouragement. There is little disagreement among Christians that women can and should teach women. But if it is true that the gift of teaching is given to women, how might a pastor properly value, cultivate and employ the gifting of women teachers? Pastor, I believe you will do exactly that if you carefully weigh two truths. The First Truth: You Need Her. She is an example you cannot be. When a woman sees someone who looks like her and sounds like her teaching the Bible with passion and intelligence, she begins to recognize that she, too, can love God with her mind – perhaps beyond what she had thought necessary or possible. Women who only hear men handle the Bible well sometimes forget to consider themselves capable of doing the same. Women benefit from seeing a smart, diligent woman set an example of what it means to open the Word with reverence and skill. She brings a perspective you cannot bring. When men teach, they naturally draw on examples that resonate with men. This means women who exclusively hear male teaching will be offered a fair number of testosterone-laden illustrations from action movies and sports. And that’s fine. But a woman teacher might also speak the language of Jane Austen movies and HGTV. And she’ll probably draw a few different observations from the text than a man might. This is not to say she will feminize a text, but that she will likely emphasize those elements of the text that highlight the role of women in redemptive history, or that speak to sin issues women commonly face. She holds an authority you cannot hold. A woman can tell other women to stop making idols of their careers or families in a way you can’t. A woman can address other women on vanity, pride, submission and contentment in a way you can’t. She holds empathetic authority over her female students – the ability to say “I understand the besetting sins and fears of womanhood, and I commend to you the sufficient counsel of Scripture.” She can lighten your load by confronting sins women might resent you addressing at all. She can say things like “PMS is not an excuse for homicide” and not get a single nasty email the following day. She sees needs you do not see (and that your wife probably doesn’t see, either). In the week-to-week arena of her ministry, a woman teacher will gain a feel for the pulse of the women in your church that a staff wife might not. Women have a tendency to present their best selves to ministry wives, but not to female ministry leaders. Pastor, if your own wife is a mystery to you, consider that you might need some help decoding the needs of the female half of your congregation. A woman teacher can give you insight at the ground level. The Second Truth: She Needs You. She needs you to sharpen her. A woman teacher tends to have fewer opportunities to develop her gifting under sound leadership because of the constraints of work or family. She needs you to meet her more than half way. She needs you to shape her theology, to point her to good commentaries and podcasts, to gently critique her, to help her with difficult texts, to be available for questions. And she needs you to offer to do these things before she asks. Don’t assume that her teaching gift will flourish on its own. Pastor her into becoming a teacher who contributes meaningfully to the health of the body of believers. She needs you to cover her. If you wouldn’t let just any man teach your men, don’t let just any woman teach your women. Vet her, and vet her teaching materials, just as you would a male teacher. Once you have determined she and her teaching are sound and valuable, cheerlead for her. Stick up for her if she faces unfair criticism. Vouch for her publicly. Celebrate her efforts and their results. A Few Good Men. And Women. None of these points implies (or requires) a disordering of the husband-wife relationship, hers or yours. Obviously, common sense applies to your interactions. We should certainly be wise about collaboration, but we must not be phobic. We must find ways to work together for the common good of the Church. But women teachers need the help of their male leadership. As those uniquely designed to speak truth to others of our gender, we need you to commit to help us “handle the truth” with the seriousness and skill it deserves. In doing so, you follow the example of the greatest Teacher who walked the earth. Help us help you. Give us a place to be equipped for the battle we are both called to fight, to be armed for the watchtower we are both called to defend. I am always thankful for a new post, and this one is no exception. I have regular conversations with women of various ages on this topic. We want to know how to love God with our minds, but this has been a neglected dimension of evangelicalism, particularly for women. You pastor is the one who actually described you to me as "a serious Bible teacher", and I hope to see more pastors engage women with this gift. I am going through Exodus with a friend, my 2 teenage daughters, and am about to add 2 college women. How blessed we are by the cultivation of your gifts! Thank you again. Jen, I kept nodding throughout this entire post. As a fellow Bible teacher, your insights strike at the heart of the importance and value of women teaching women. I've been blessed to receive outstanding pastoral support, as well, and found it vital -- both for spiritual growth and leadership. Thanks for tackling a necessary topic with grace and wisdom. Blessings to you and the ministry with which God has entrusted you. Excellent post. Thank you to Mike Duran who pointed me this way today. I heartily agree and have even written on the topic. I'm delighted for the affirmation and your succinctness of the topic! Goodness, I enjoy your posts! Within the complimentarian view of the family and the church, this is a good explanation of why we need both and that it can, indeed, be achieved biblically. This is such a great post! Thank you for writing it! Another benefit I have experienced from being taught by women is that it builds a relationship of accountability that cannot be replicated between a pastor and a woman, simply because he is a man. There are certain things I simply would not share with a pastor, but I would with another woman. Hearing a woman teach and seeing her understanding and wisdom builds confidence. I do find male teaching preferable in some instances because sometimes men are more linear thinkers, and sometimes, women do dwell more on emotion and experience. A balance of both kinds of teaching is really beneficial. I am late to the party on this post but I so, so appreciated it. What a charge for both genders to love and respect one another, empowering and encouraging each other toward the gifts and callings given to them by God. This was especially encouraging to me as a new mom, pastor's wife and just getting my feet wet blogger. It's easy to bounce between fearful and prideful in each of those areas, but God's call is so very different than that and I'm thankful for the men and women who strengthen my heart along the way. Thanks very much for this, Jen! Jen, in all sincerity, I am truly interested how, as a Bible teacher, you explain 1 Timothy 2:12. I don't ask to be sexist, only as a student of the Bible, that wishes to understand and adhere to it's truth, even if it is unpopular.